Imagine the creative output if the world’s top minds collaborated on a daily basis to run The Ultimate Integrated Agency. Creativity takes many forms, from entrepreneurial business minds and innovative strategists to visionary designers from many disciplines. I’ve decided to bring a personal selection together to see if my Magnificent Nine make a winning combination or a recipe for disaster. I’m not suggesting for one moment that this collection of egocentric individuals would last a week in business together, but let’s suspend belief and focus on the potential. What I’ve not alluded to is whether The Ultimate Agency is a start-up, successful ongoing project or a business in need of a change of direction. Not a problem for our CEO, as Steve Jobs has had experience with all three. The charismatic, single-minded leader of the Apple empire co-founded the whole operation in 1976, took it to the brink, left, returned in 1997, regrouped and hasn’t looked back since. With some of the most committed brand evangelists in the business Apple’s products almost sell themselves. However, without Jobs leading from the front and his shared vision with Jony Ive, the company wouldn’t be where it is today. I’d hate to see Microsoft’s Steve Ballmer screaming up and down the stage at a keynote, promoting anything from Apple as they just wouldn’t be the same products anymore. You’ll not find any current Microsoft employees in my Ultimate Agency list, the Windows 7 launch party TV ads would have hammered the nail in that coffin. I want someone in this role willing to drive the agency (and the clients) forward into new markets with a thorough understanding of each. Jason Calacanis is a US entrepreneur with a proven track record of starting, developing and profitting from very successful businesses. The potted history begins in 1996 when Calacanis started the Silicon Alley Reporter (sold in 2003), next founding Weblogs, Inc (sold in 2005), roles as SVP of AOL and General Manager of Netscape followed until founding Mahalo.com in 2007. In 2009 Jason embarked on another venture, the ‘This Week in...’ webTV network, hosting topics from video games, to poker, to comedy to This Week In StartUps, hosted by Jason. Calacanis’ CV demonstrates a razor-sharp entrepreneurial instinct essential for any business, especially useful in the cutthroat world of the creative industry. If anyone in the marketing and social media business hasn’t heard of Mitch Joel, then go and look him up. His is the one voice of reason you should be listening to and his blog and book (both entitled Six Pixels of Separation) tell it like it is, not how marketers make it sound. It can get tiring for most ‘normal’ people to spend time with marketers and it’s easy to resent the influx of acronyms and tech-speak uncomfortably shoehorned into conversation so I’ve chosen Mitch to head up Marketing Strategy for the no-nonsense Ultimate Agency. 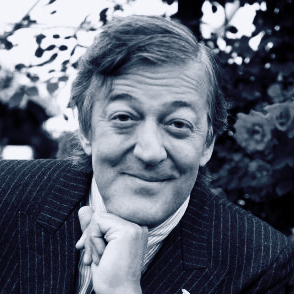 Actor, writer, presenter, raconteur, all-round passionate enthusiast and communicator... Stephen Fry is a man of many talents. He ticks all these boxes but they culminate in one compelling reason to include him in my list: A truly great Client Services Director should not only understand and love the business but the business should love them back. Stop people in the street and ask who they’d invite round for a dinner party and the chances are nine out of ten would have Stephen Fry down for an invite. The Dalai Lama is a worthy addition, but I’d rather discuss the pros and cons of Blackadder, Oscar Wilde and my iPhone with the former partner to Dr. Gregory House. I’m sure clients would feel the same. 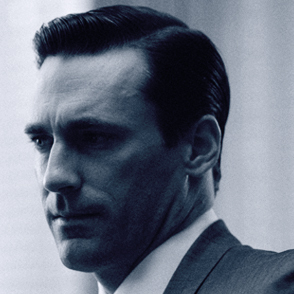 Yes, I know Don Draper is a fictional character, played by Jon Hamm in the award-winning Mad Men, but you’d soon have a go at me for putting my own name forward so Draper gets my vote. 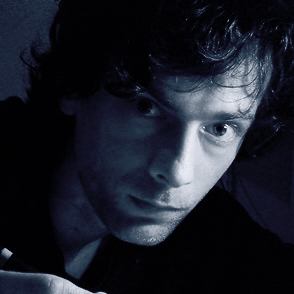 A great Creative Director should be a maverick, with an opinion on everything thrown at them. Sitting on the fence isn’t an option as the team around them are there to put the case for and against the client’s brief. Each job exists to be questioned and challenged, not followed religiously otherwise the role of Creative Director is relegated to that of designer or manager and facilitator, rather than inspirational leader. Don Draper could never be described as a follower and if he goes off the rails occasionally, his outstanding team is there to ensure the final destination is still reached. If you want to get intimate with the internal workings of a brand, Wally Olins is the man to speak to. Wally is one of the most engaging public speakers I have had the pleasure of listening to. He makes the business of branding interesting because of the stories he recounts regarding his vast experience in the subject. It is this back-story to each brand that marks Wally out as a great – it’s certainly not about a quick visit to the drawing board or Mac but a deep understanding of where a brand stands, where it wants to be and how its audience relates to it. Wally’s years of experience, from his time with Wolff Olins, to his present position as Chairman of Saffron Brand Consultants have resulted in a folio of satisfied clients, ranging from Volkswagen, BT & Coca-Cola to brand positioning for Poland, Spain and London (for the 2012 Olympics – like it or loathe it!). I think The Ultimate Agency branding would be safe in Wally’s Olins’ hands. Moritz Waldemeyer may well be the closest you’ll get to a designer living the contemporary rock and roll lifestyle without ever really stepping into the limelight. His incredible LED ‘laser suits’ have made on-stage appearances when worn by Rihanna, OKGO, Mika and U2 as well as hitting the catwalk in collaboration with Hussein Chalayan and Swarovski. Big brands are now queuing up to work with Waldermeyer, as his combination of technology, art, fashion and design generate live effects seemingly drawn straight from the digital realm. Having trained as an engineer, Waldermeyer’s projects function as planned even if they do have an air of fantasy about them. An ideal combination for the Ultimate Agency – thinking outside the box, but filling it with useful tools. 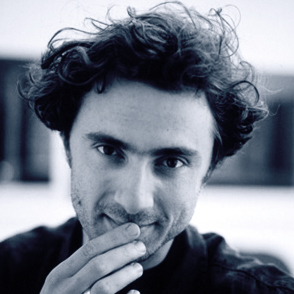 Although Thomas Heatherwick shares a talent with my next appointment for designing incredible open spaces (and the structures that sit within them), Heatherwick’s focus remains fixed in an architectural direction. His New Bus for London may step on a few toes but Newson’s heart lies with product design. Heatherwick’s most recent public project, The UK Pavilion at Shanghai Expo 2010, highlights his continuing avoidance of all things conventional. His ‘B of The Bang’ sculpture to celebrate Manchester’s 2002 Commonwealth Games was finally dismantled last year, having never fully opened, after fears over the stability of its huge metal spikes. Some would call it unsafe. I’d call it edgy. “No Jony Ive?” I hear you cry. 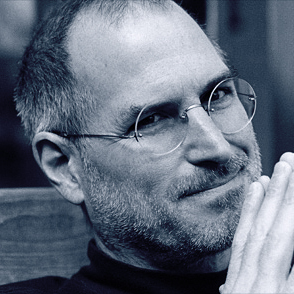 I haven’t faltered in my allegiance to Apple but The Ultimate Agency needs a versatile as well as visionary leader to head up the product category. Jony Ive continues to deliver beautiful objects of desire under the Apple banner but Australian-born Newson doesn’t fly the flag for any one brand. He’s his own man and this shows in the breadth and depth of his portfolio. As I’ve mentioned above, Newson shares many skills with Heatherwick, however I’m not expecting the two to fall out now they’re working for The Ultimate Agency – quite the opposite, it’s the collaborative fallout that interests me and I’d love to see the results. The nine creative individuals listed above all epitomise the industry’s pioneering spirit. It’s their kind of risk-taking I’m looking for. There’s always going to be room for ‘safe’ in the world, but safe never scaled Everest, it didn’t reach the moon and it certainly won’t make it through the door of The Ultimate Agency.